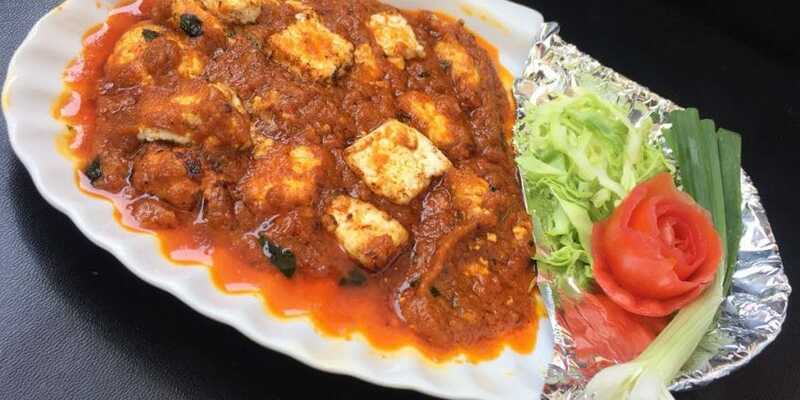 Paneer Kadai is a famous North Indian Paneer (cottage cheese) served in all restaurants. 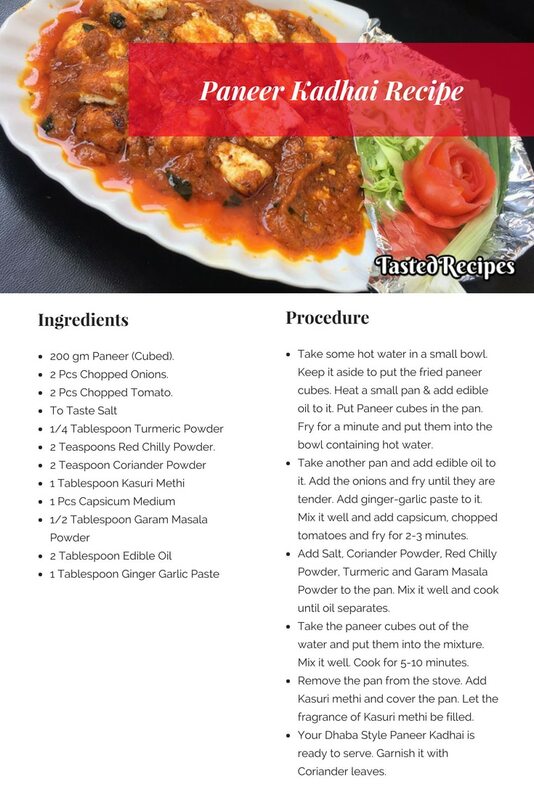 You might have eaten paneer kadai earlier but this recipe will give you the perfect restaurant taste. 200 gm Paneer (Cubed). Get it ready frozen paneer or you can take it fresh. Fresh is better. 2 Pcs Chopped Onions. You can make a paste in the mixer of onion if you don't like pieces of chopped onions. Take some hot water in a small bowl. Keep it aside to put the fried paneer cubes. Putting paneer cubes in water will keep it soft until the end. Heat a small pan. Add edible oil to it. Put Paneer cubes in the pan. Fry for a minute and put them into the bowl containing hot water. Take another pan and add edible oil to it. Heat it for some time. Add the chopped onions and fry until they are tender. Add ginger-garlic paste to it. 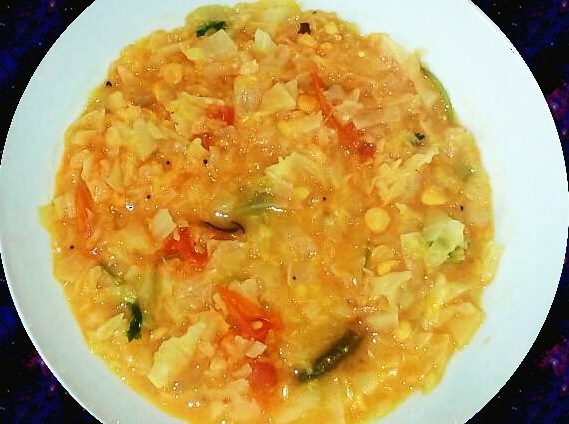 Mix it well and add capsicum, chopped tomatoes and fry for 2-3 minutes. Add Salt, Coriander Powder, Red Chilly Powder, Turmeric and Garam Masala Powder to the pan. Mix it well and cook until oil starts separating from the mixture. Take the paneer cubes out of the water and put them into the mixture. Mix it well. Cook for 5-10 minutes. Remove the pan from the stove. Add Kasuri methi and cover the pan. Let the fragrance of Kasuri methi be filled. Your Dhaba Style Paneer Kadhai is ready to serve. 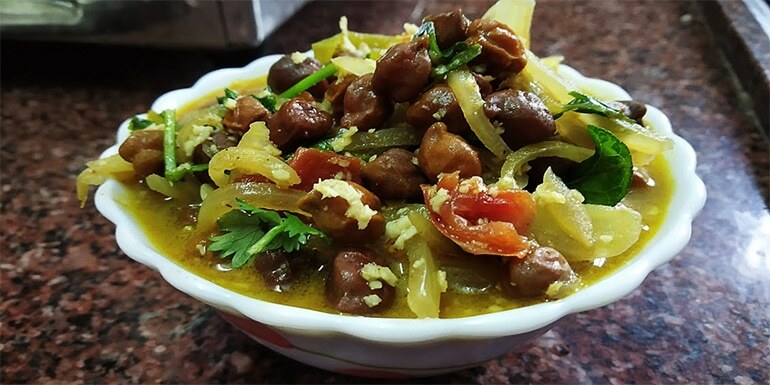 Garnish it with Coriander leaves if required. 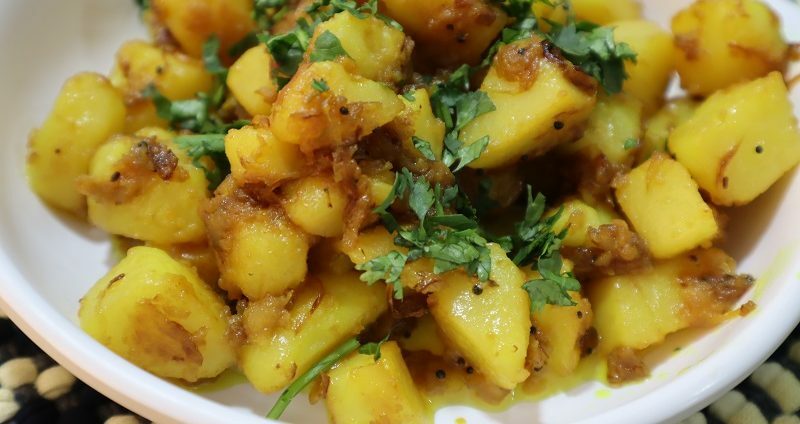 If you want more taste to it, serve it with Butter Naan or Garlic Naan.